Hey there, Hi there, Ho there! You’re as welcome as can be. Come on in, make yourself an afternoon cup of coffee, and get comfortable. If your day is in need of a pinch of PIXIE DUST, then you’ve come to the right blog! Allow me to introduce myself. Miss Emma, that’s me! 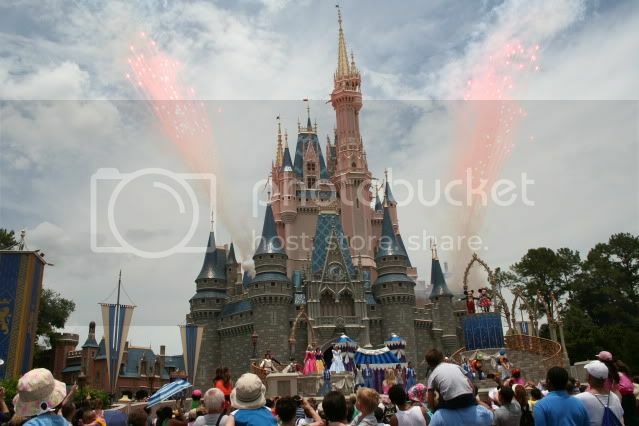 I happen to be crazy about an oh-so-pixie-dusted place called Walt Disney World!! I’ve always enjoyed sharing tips and stories about our trips to Disney World, but now it’s time to take it to the next. level. I've recently become a Disney cast member, and now that I’ll be working for mouse and hanging out in and around the WDW Resort all the time, I wanted a place to share pretty photos (be prepared, I take a lot of those! ), cute stories, fun Disney news, and just little every day encounters with the magic! My posts may sometimes digress into non-disney but still pixie-dusted topics like Jane Austen, other nice books, cute bags, chocolate, pretty stationery, cupcakes, anything pink, etc., etc. but hopefully, dear reader, you'll put up with me! I think it's going to be a grand adventure. SO. Has everybody got their faith, trust, and pixie dust? Well, then! Our course is set for the second blog to the right, it’s off to Neverland! What Sunni said! I love your trip reports and am looking forward to being a regular reader of your blog. You are going to have a blast! Congratulations on becoming a CM! Very excited to read about all the extra goodies that we may not have been able to read about on one of your TRs! Welcome to the Disney Blog-o-spere, Emma!! Congrats! It must be so exciting to become a CM after years and years of trips!